Lucy dreams of being a nurse when she grows up. 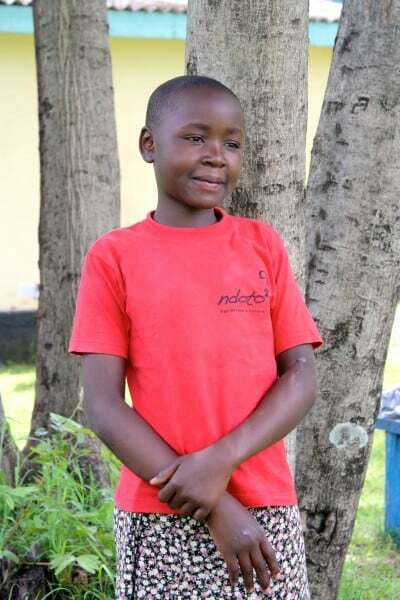 Her dad is a bicycle taxi driver and her mom stays at home fighting poor health and HIV. Lucy loves to read and enjoys helping her mom wash clothes. She walks with a limp that the Ndoto staff thinks is a problem with her hip.